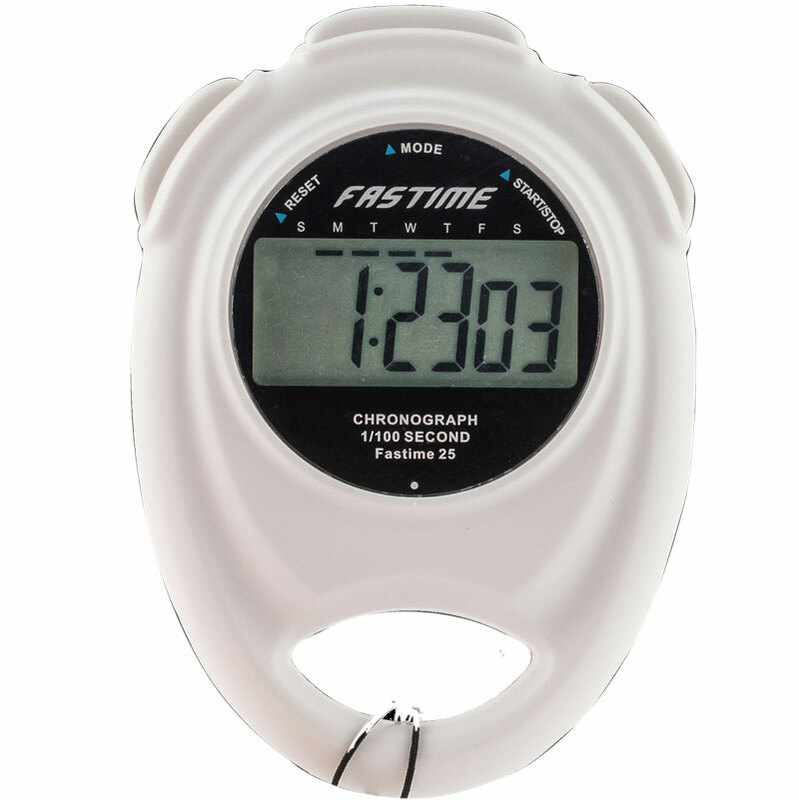 The Fastime 25 Stopwatch is an educational model, single display stopwatch with battery door. A single display large digit stopwatch with cumulative split times and time out functions. Also shows time of day with alarm. Size L 90mm x W 62mm x D 20mm, Digits 22mm.